For Dell Inspiron 1525 1526 1545 1546 C169M NN249. It can be used interchangeably. Photo is for reference only. Hope you understand. 1 x CPU Fan. OEM Charging Port Flex Cable For HTC Incredible 2 ADR6350, Incredible S PG32130. Good working conditions. Removed from a working unit. Dell Inspiron 1525 1526 1545 1546. DFS531205M30T F6H3-CW PD099 YT944 DC28A000K0L DC28A000J0L UDQFZZR03CCM KSB06205HA 0C169M C169M NN249 0NN249 C169M 0C169M AB7205HX-GC GB0507PGV1-A 123.10194.003. Dell Inspiron 1525 1526 1545 1546. Dell Latitude D620 D630 D630C D631 PP18L. For Dell Inspiron 1525 1526 1545 1546 NN249 C169M. This is our SOP, for us to be certain and for record purposes. CPU Fan Type: Brushless Motor. 1 piece CPU Fan. We might require you to send us photo/s of the item received and also your original item so we can compare and conduct necessary actions. DELL INSPIRON 1525 1526 1527 1540 1545 1546. DELL INSPIRON 1525 1526 1527 1540 1545 1546. Russian Federation will take longer. This item is 100% functional, and in very good condition. As this item is used, there may be signs of normal wear and tear that could be present. This part is carefully pulled and fully functional. It was pulled from a DELL Inspiron 1545 Laptop. Original Dell Inspiron CPU Cooling Fan. 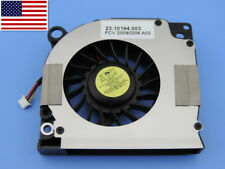 OEM Brushless Fans for Dell Inspiron 15.6". Dell Inspiron 1525, 1526 , 1545 Series. OEM Dell Laptop Fan. Item Condition & Warranty Model # KSB06205HA( DC5V ), 3-Wire ( 3-pin connector ). DELL INSPIRON 1525 1526 1527 1540 1545 1546. However, was not able to fix the laptop due to other issues with it. Nothing to do with the fan. ( KSB06205HA / 0C169M ). Replace P/N: KSB06205HA,NN249. Dell Inspiron 1545, 1525, 1526 Series Laptop. Original Dell Laptop Fan. We are not responsible for uncompatible problem. Cooling fan and heatsink for a dell inspiron 1545 laptop. We will do our best to work with you to resolve the matter. Tested and 100% works. you will recived the item from the picture. 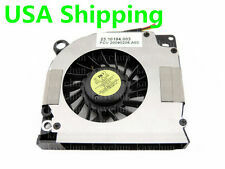 The Dell Inspiron 1545 Cooling Fan C169M KSB06205HA 23.10269.001 has been graded A. This item is 100% tested, functional, and in very good condition. Fans - Cooling Fans. Robot Vacuum Parts. Used Robot Vacuums. Dell Inspiron 15.6" 1545 Original CPU Cooling Fan C169M 23.10264.001 GLP . Actual item pictured. Pulled from a retired computer. Tested and Functional. Manufacturer Part Number: C169M. Dell OEM Original Part. Part taken from a good, working Dell Laptop. Tested and Verified working. Item Condition. Grade A: Like New with very few scratches or wear marks. After the necessary information has been provided, we will arrange for the item to be replaced. If an item is ". S s ( 802. Good communication. s 3 ( 208. ) 2019-04-01. w p ( 1726. ) 2019-04-08. ) 2019-04-02. r 2 ( 86. ). 0C169M DELL COOLING CPU FAN INSPIRON 1545 SERIES "GRADE A"
We record all serial numbers. If you try to open an item such as a laptop and attempt to swap out internal components such as the motherboard, LCD, RAM, CPU, SSD, etc?. We record all internal part numbers and keep photos to minimize theft. New - Pull. We partner with the largest computer part wholesalers throughout the United States and provide the highest quality products available. We strive to be your #1 source for computer parts. Operated From. This item is used in a good working condition. Compatible Models:For Dell Inspiron 1525 1526 1545 C169M. CPU Fan Type: Brushless Motor. 1 X CPU Fan. For Huawei P8 Lite ALE-L04 L21 2016 LCD Display Touch Screen Digitizer Assembly. 328pcs Polyolefin 2:1 Heat Shrink Tubing Set Electrical Wrap Wire Cable Sleeving.